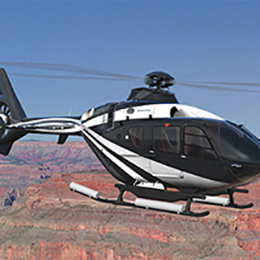 The H130 (EC130 T2) is a light single-engine helicopter including all the latest technology and a roomy modular cabin that can accommodate 1 pilot plus up to 7 passengers. This newcomer in the successful Ecureuil range is equipped with the brand new Safran Arriel 2D engine and more than 70% of the airframe has been modified. This substantially increases the versatility of the H130, making it better equipped to answer to the challenges of additional missions such as hot and high operations and aerial work. Thanks to its optimized maintenance cost and operational benefits, it is truly an economical solution combined with the highest level of safety. 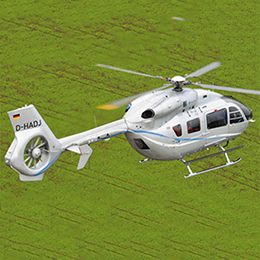 EC130It is the quietest helicopter on the market: its Fenestron® tail rotor and automatic variable rotor speed control result in a significantly reduced external sound level. 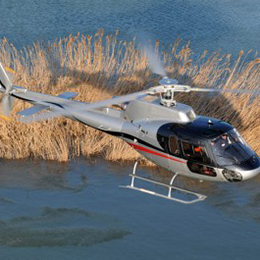 All H130 systems are newly improved and very easy to maintain. 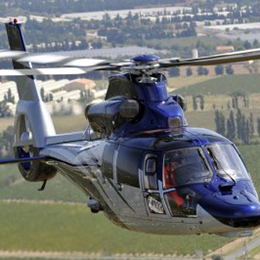 Thanks to its formidable visibility, quietness, comfort, performance and safety, this versatile helicopter is a key member of Airbus Helicopters’ Ecureuil family. 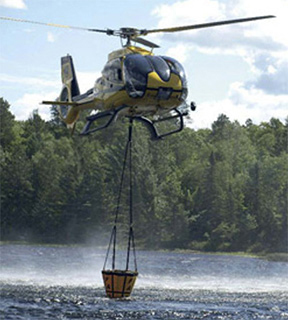 The H130 is particularly suitable for passenger transportation, as well as for EMS, law enforcement, and aerial work support.